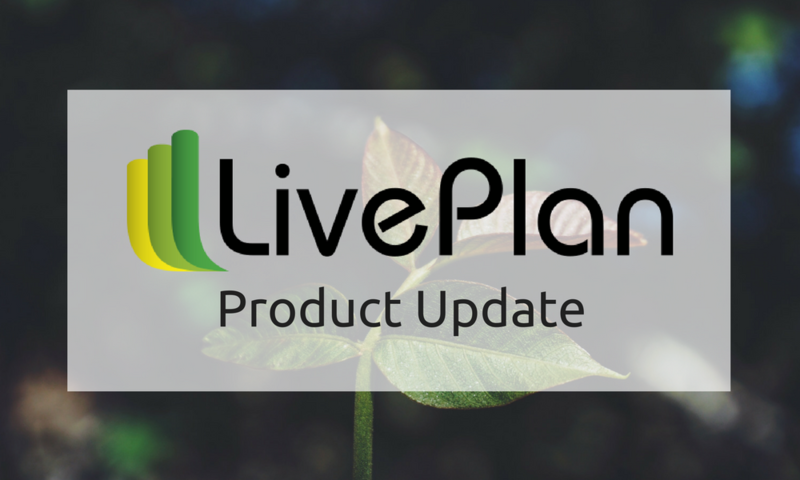 You can always invite guests to review your business plan online inside LivePlan, but sometimes you just need to print your plan or export to PDF. We’ve made some great improvements to this process that give you more flexibility and the option to add more details if you need it. If you want to cut down on the number of pages in your plan without editing any of the copy, you can now remove the automatic page break that gets inserted between paragraphs. Just un-check the “page break after chapters” box for a more compact plan. Instead of removing chapters from your outline if you only want to print or export part of your plan, you can now choose which chapters to include. 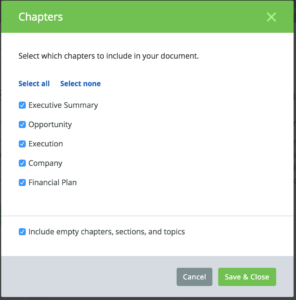 If you just want to export your executive summary, for example, just choose that chapter from the “Chapters” section of the Download & Print Setup. You can also automatically exclude sections of your business plan that you may not have written yet so you only export what you’ve worked on. You can learn more here. 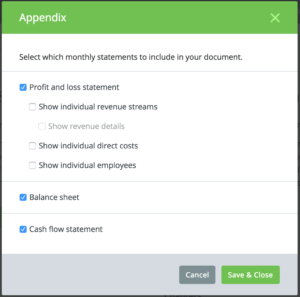 If you want to show more detail in your profit and loss statement in the appendix, you now have that option. You can choose to include individual revenue streams, direct costs details, and even individual employee salaries. Just select the options you want in the Appendix Options. We’ve got a great article that will walk you through all the details.